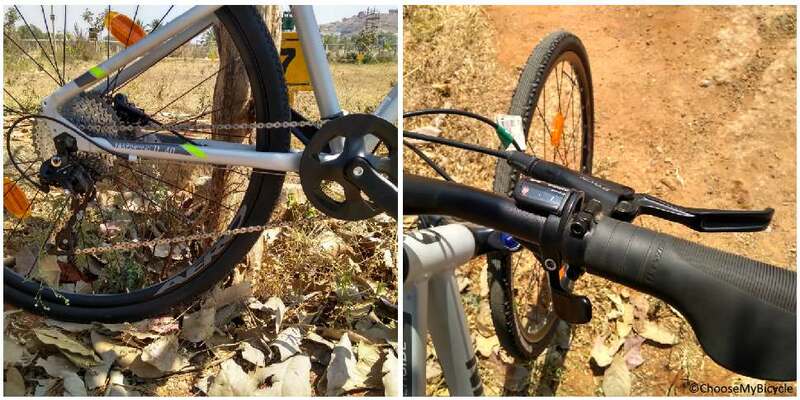 These offers are free with the purchase of the Btwin Riverside 900 (2018) Bicycle. 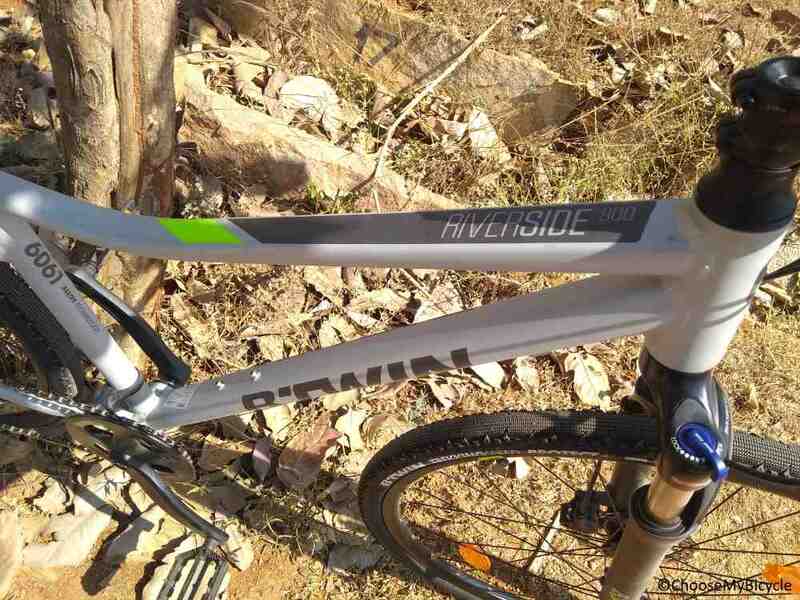 The Btwin Riverside 900 (2018) is a Hybrid Bicycle which has an Aluminium Frame. The Btwin Riverside 900 has a 10-Speed Microshift RD M62-L rear derailleur and Microshift SL760 shifters. 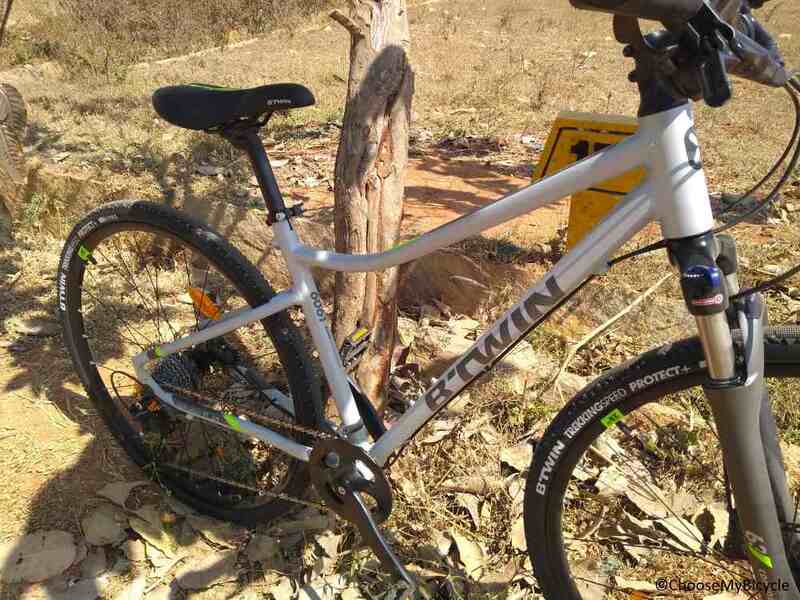 This Hybrid Bicycle from Btwin comes with Promax DSK908 Hydraulic Disc Brakes. The Btwin Riverside 900 has a Suntour NCX SF14 Suspension Fork with 63mm travel. 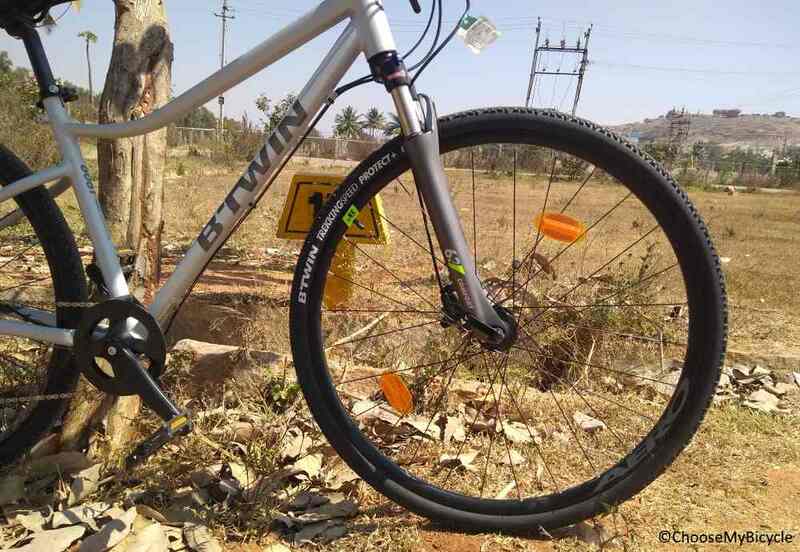 The Btwin Riverside 900 comes with a pair of Hybrid Btwin 700x38c tires which are attached to Aluminium Rims. 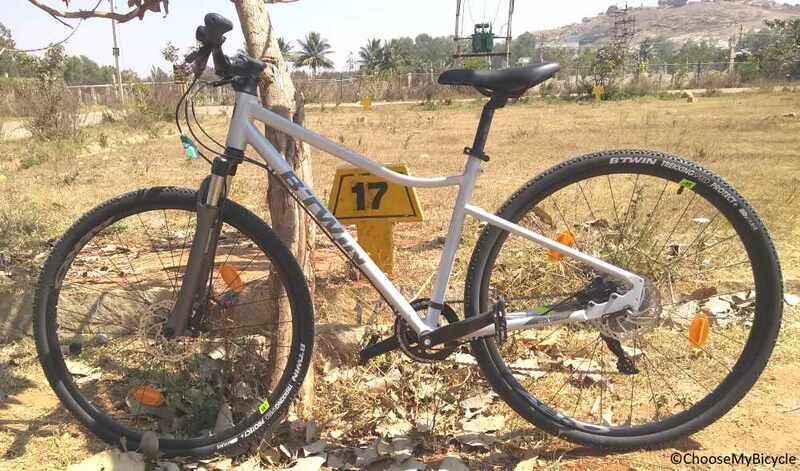 The price of the Btwin Riverside 900 (2018) is Rs.37,999. The Btwin Riverside 900 is a unisex hybrid bicycle whose primary audience are cyclists looking for a capable bicycle for intra-city commuting, leisure riding and occasional long rides. Btwin is the cycling arm of French Sports brand Decathlon started in 1976. Btwin’s aim is to design bicycles, equipment and accessories that make life on a bike easier. Btwin have a complete range of bicycles for Kids, Men and Women. The Btwin Riverside 900 is a unisex hybrid bicycle whose primary audience are cyclists looking for a capable bicycle for intra-city commuting, leisure riding and occasional long rides. 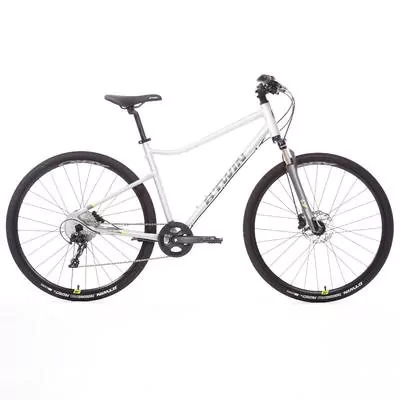 It is a good option for riders living in cities with uneven riding surfaces and want a capable bicycle to handle the said terrain with ease. 2. In what condition will I get the Btwin Riverside 900 (2018)? 6. How will I know if Btwin Riverside 900 (2018) will fit me without riding it? 7. How long will it take for me to receive the Btwin Riverside 900 (2018)?